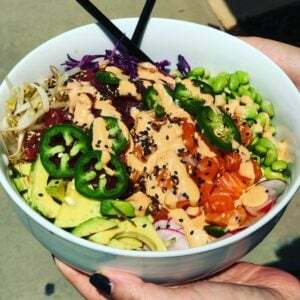 Poke Bowls seem to be the new fad in fresh food. They are a great way to enjoy sushi in a bowl. 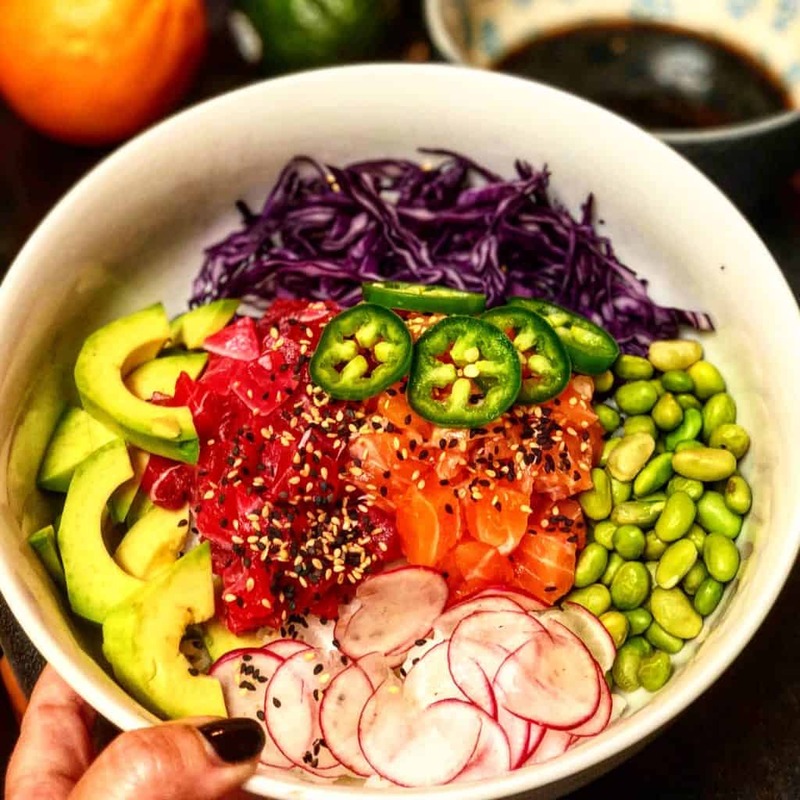 You can customize your bowl with your favorite protein and/or vegetables. Here is my take using my favorite sushi-grade fish from The Carolina Meat & Fish Co. and my favorite toppings! 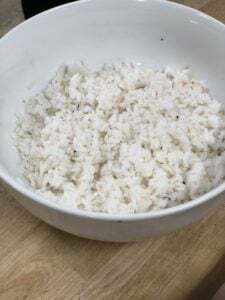 If you want this recipe to be keto-friendly, just replace the rice with extra veggies! This recipe makes a BIG bowl…so you can cut in half or share with someone! 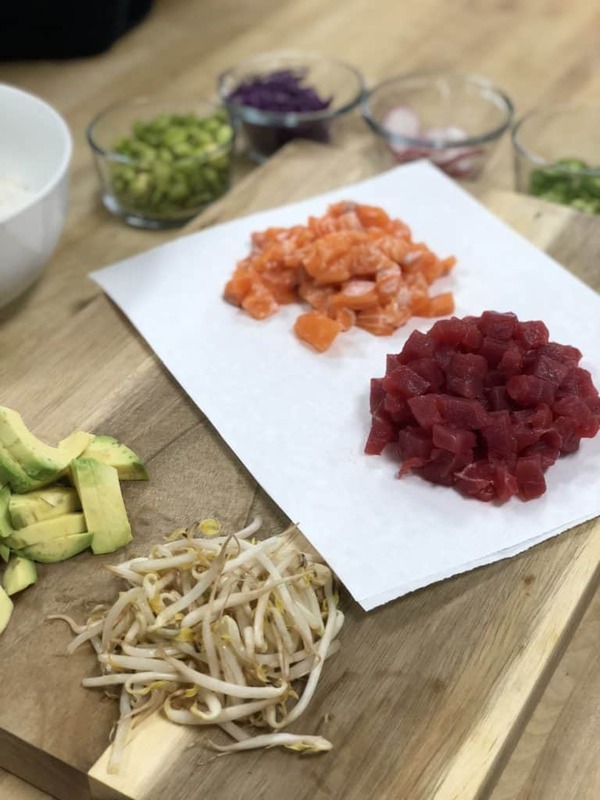 Check out the ingredient list for what I put into my poke bowl…see below the ingredients/how-to for the incredible sauces! To make the sushi rice, rinse uncooked rice in strainer until the water is no longer cloudy. Place rice in pot with water. Bring to a boil, reduce heat and simmer for 20 minutes. In a saucepan, combine the rice wine vinegar, salt and sugar. Cook on medium heat until the sugar dissolves. Cool the mixture and add fold in to cooked rice. Keep stirring until the liquid is fully absorbed. Don’t be concerned if initially the rice looks too wet. As the rice cools, the liquid will become fully absorbed. While the rice is cooking, you can start prepping the ingredients for the Poke Bowl. To make the sauces, just combine all of the ingredients for the Ponzu in a bowl and mix well. For the Sriracha Sauce, mix all ingredients in a bowl and pour in a squeeze bottle or freezer bag (you can snip off one of the corners to squeeze. To assemble bowl, fill bottom of bowl with sushi rice. I used a little over a cup of cooked rice. Place the veggies (excluding the jalapeno slices) around the outer edge of the bowl. Cut the tuna and salmon into bite-sized pieces and lay in middle of bowl. Top with sesame seeds and garnish with the fresh jalapeno slices. Top with a few tablespoons of the Ponzu sauce and a generous squeeze of the Creamy Sriracha Sauce. ENJOY!